How often do you get to see strips of time that span nearly FOURTEEN months?! Ok, so all calendars do that. The only difference with this one is that you read it left to right, like you do text. I’ve been making it for three years, because it’s handy. If you stand back from the wall after you stick it up, everything fits into your field of vision while remaining legible. That’s how it’s designed. 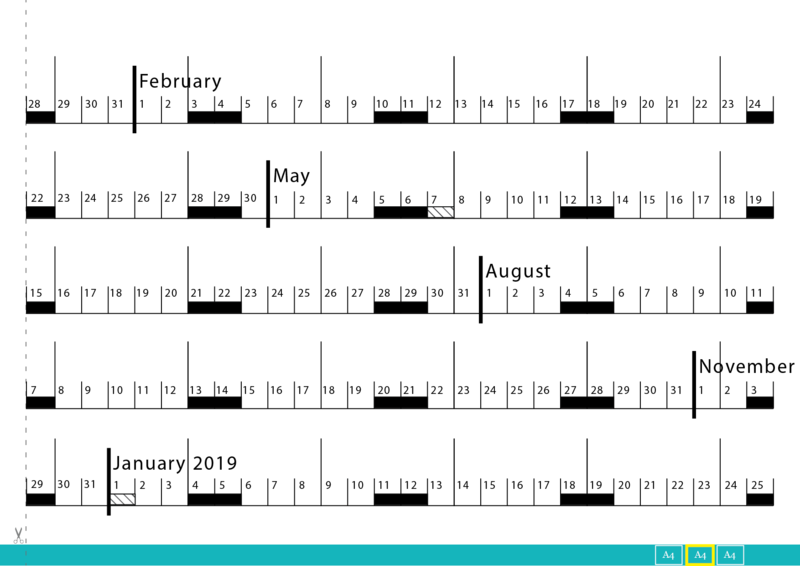 This year I moved the month names to be above the line of days, so that I could fit one more row. 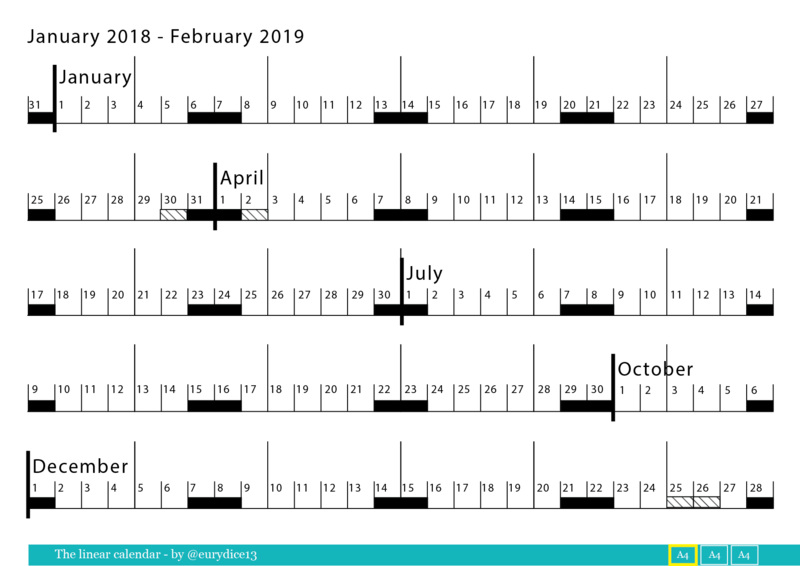 Which has given me a calendar that spans from December 31st 2017, to February 22nd 2019. 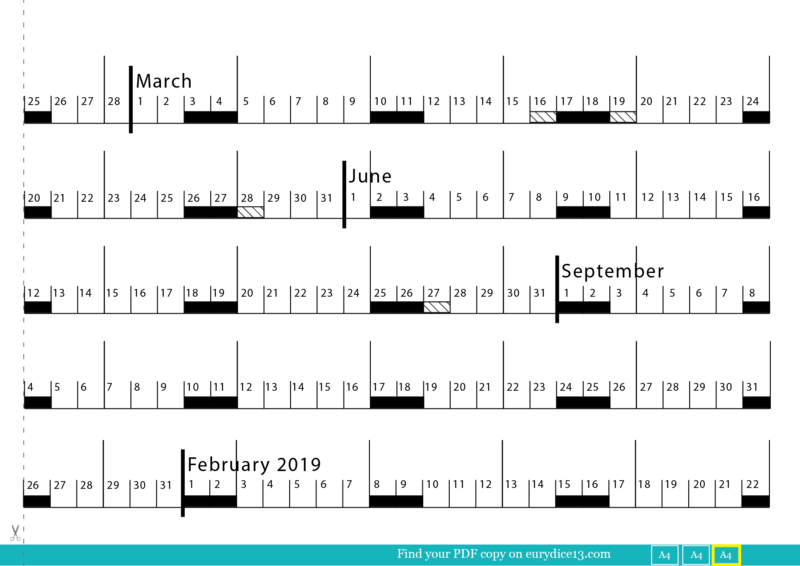 I use it at work to help us see how much time is left to work on something before a release or holiday, and at home to see and plan holidays and weekend activities. Sometimes I print it on a single page to help me plan an entire project. It’s been very helpful to me and others, so I keep making it. Would love to see photos and stories of how you use it too. Grab the PDF or the three images below.